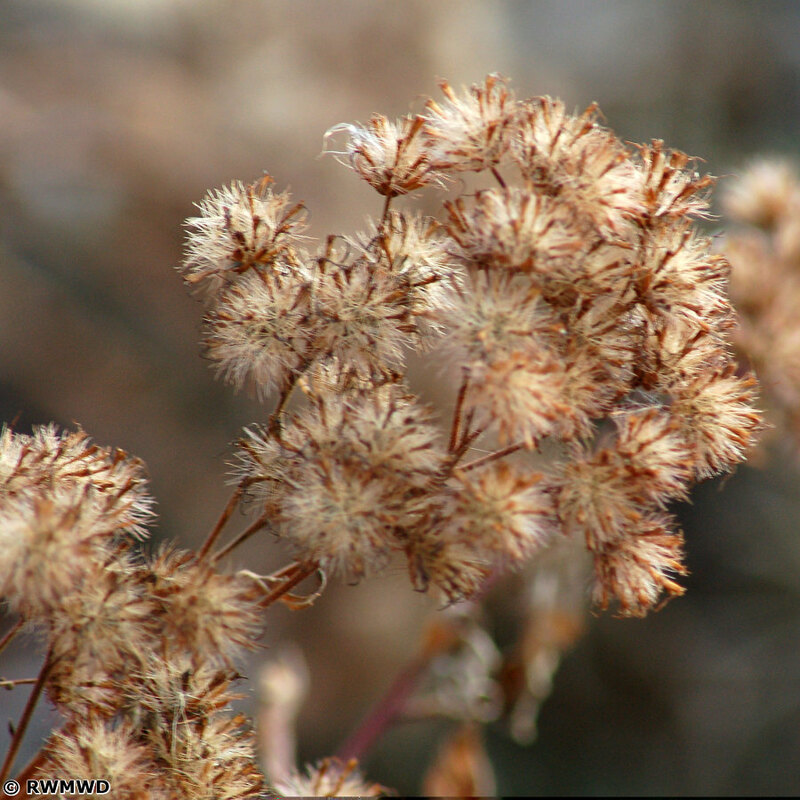 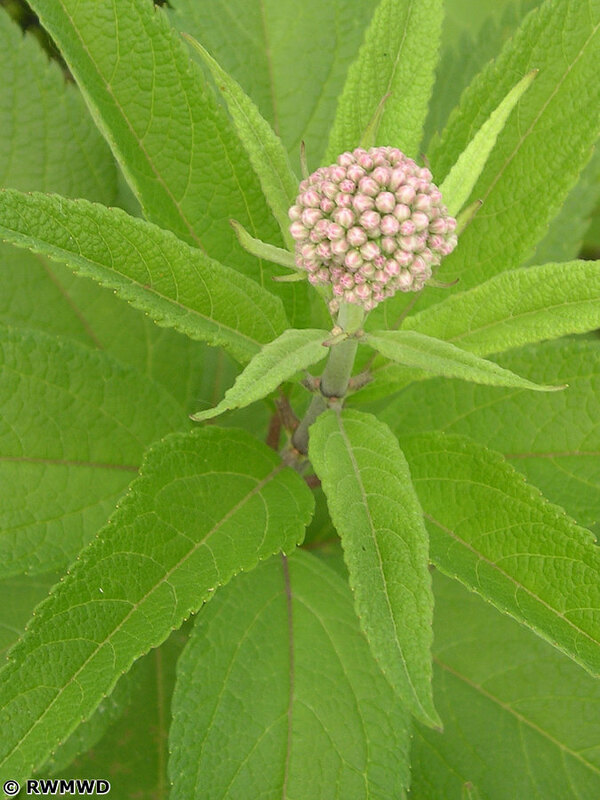 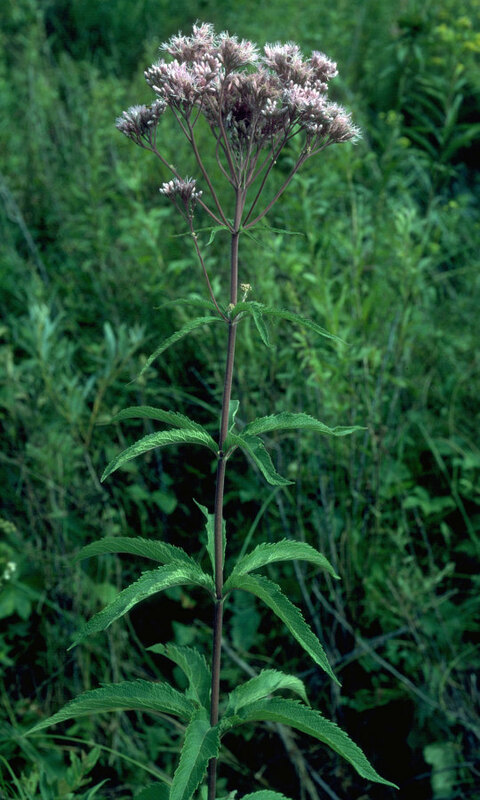 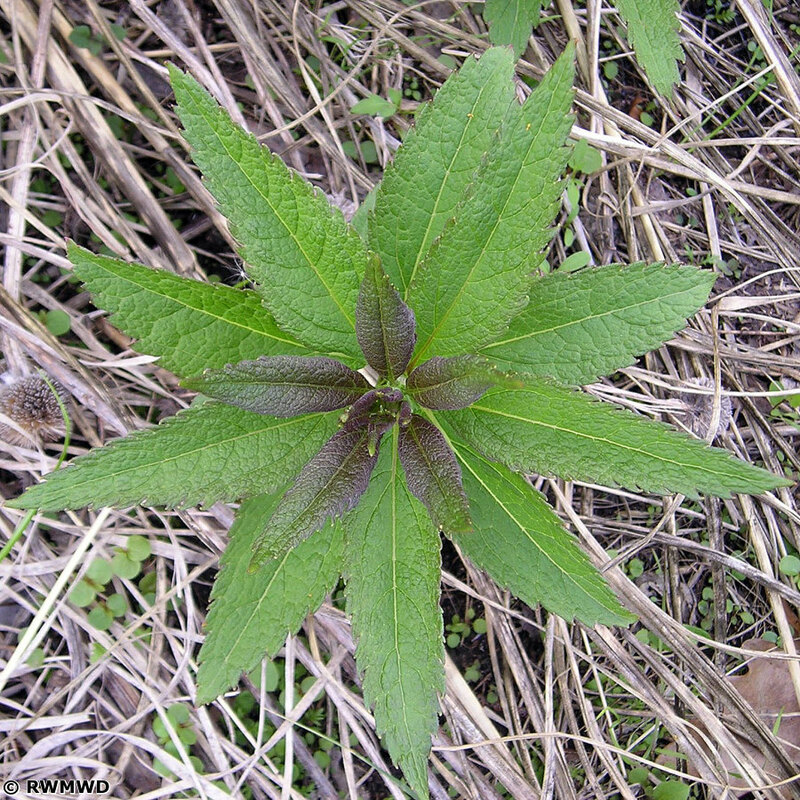 Spotted Joe-Pye-weed is a common plant of wet meadows, marshes, ditches, and moist pastures. 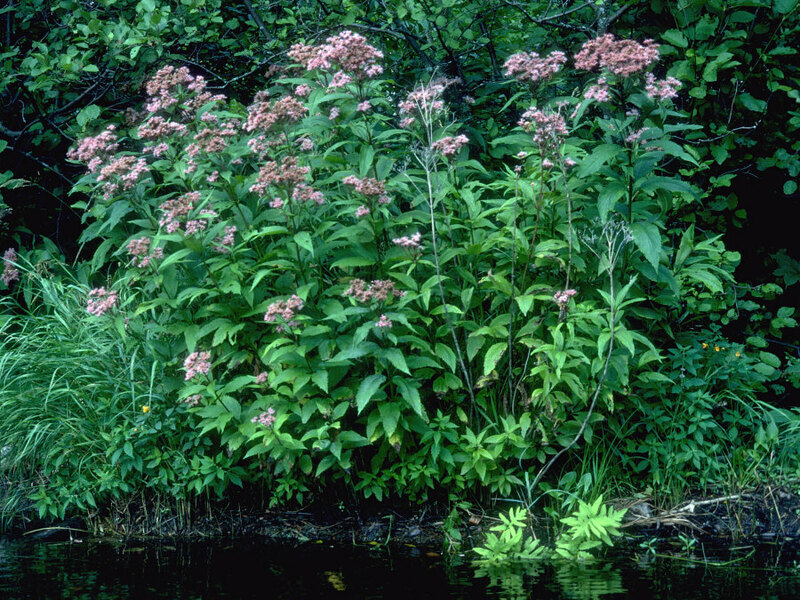 It grows on moist mineral or peaty soils, but not in clayey soil, or in strongly acidic soil. 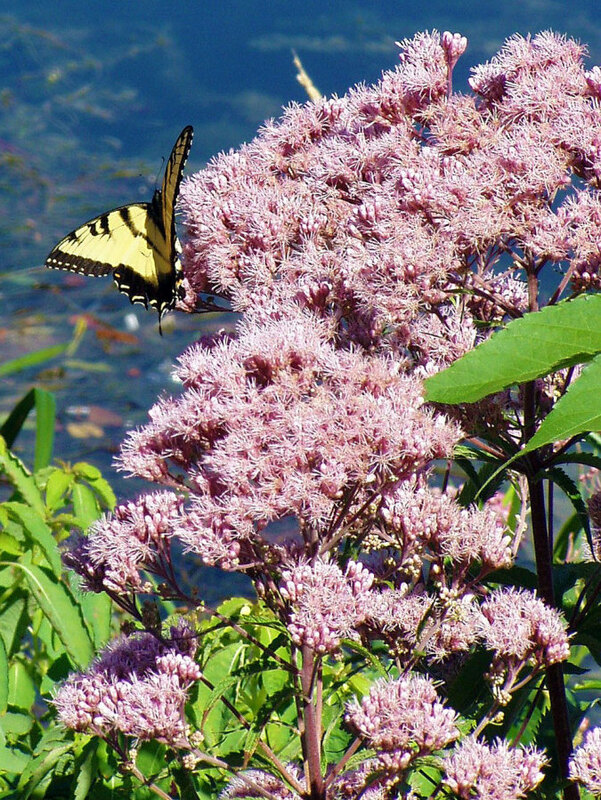 Quickly fills in sunny places in lakeshore plantings. 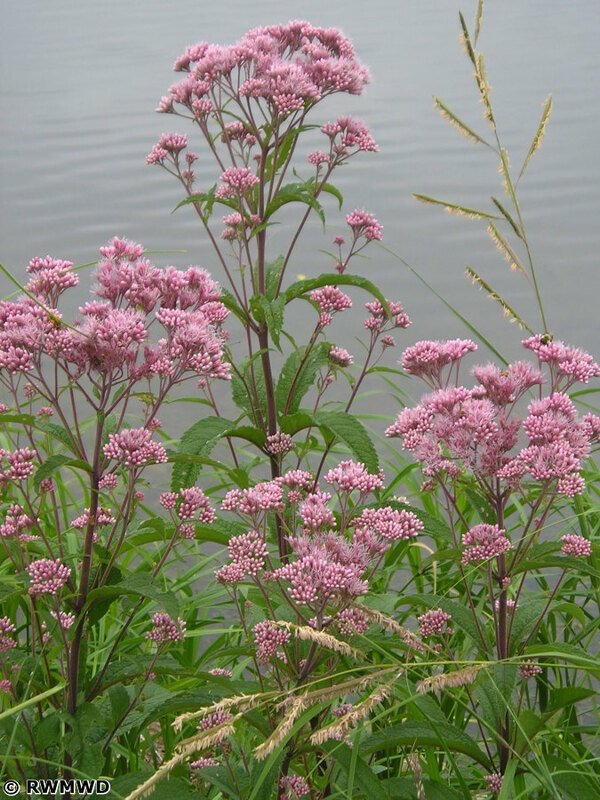 Good in mixtures of wetland grasses, sedges, and colorful summer-flowering herbs.